Perez has made over 50 appearances for Atletico Nacional. Colombia U20 international Sebastian Perez is poised to join Arsenal on trial. Perez competed at the still-running FIFA U20 World Cup but could not help his Colombia side drop out at the second round phase by losing to South Korea. However, Perez has experienced success this year by winning the South American Youth Championship with his country. 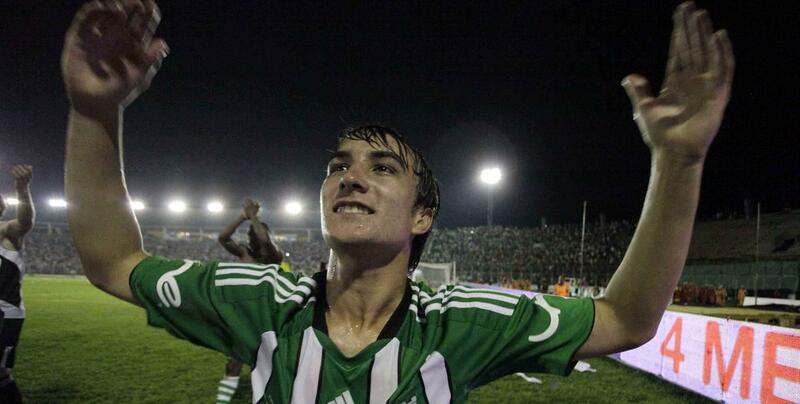 Arsenal’s approach for Perez was confirmed by Atletico Nacional president Juan Carlos de la Cuesta. The 20-year-old has played in the first team at Atletico Nacional for three years now, establishing himself very early in his career. He won a league title at 18-years-old, making him the youngest player in Colombian history to do so. He is a strong defensive midfielder and has noticeable talents in distribution. He also has great ball control and athleticism. Arsene Wenger will be criticized for taking Perez on trial, as they bid to search for a new world-beating midfielder, Perez doesn’t fit the bill. Although he has a lot of promise, he is one for the future and not yet up to the standard that the Premier League would expect. However, with time and perseverance he could be a huge talent in years to come.